Baby diarrhea is a common disease. 21 – 37 million cases of diarrhea are reported in the United States every year, including 3 million visits to the doctor and 165,000 hospitalizations. In recent years, plenty of medical research has pointed to the beneficial effects of probiotics for diarrhea in babies in terms of prevention and treatment of bowel infections. On average, a child is expected to suffer from 3 episodes of severe diarrhea up to the age of 3. 80% of the cases of baby diarrhea that appear in the winter and 50% of the cases that appear in the summer are caused by the pathogen human rotavirus, which is mainly common among children younger than 2 years. Additional pathogens that cause diarrhea are the parvovirus, adenovirus, campylobacter, salmonella, shigella and certain strains of E-coli. Having said that, it is important to mention that in 20%-30% of the cases of diarrhea, the pathogen is not identified. Diarrhea can also be the result of other non-pathogenic factors (i.e. not involving bacteria or viruses). They may include intestinal dysfunction stemming from malrotation, endocrine disorders like Addison’s Disease, neuroblastoma and genetic diseases like familial dysautonomia (Riley–Day syndrome). These factors are, however, rarer. denying pathogens access to areas in the intestine, thus preventing them from multiplying and, therefore, keeping the intestine microflora positively balanced. increasing the production of antibodies (Immunoglobulin A) the body requires to fight the human rotavirus. inhibiting the production of toxins by pathogen in the intestine. accelerating the production of peptidoglycans that strengthens the body’s immune response to infections. inducing the production of immune cells (lymphocytes and phagocytes) and immunomodulating agents (like cytokines). Equally important, probiotic bacteria settle in the intestines and turn non-digestible components, like polysaccharides, into beneficial metabolites the body can digest. Thus, they reduce symptoms of bloating, gas, stomach ache, constipation and diarrhea. In other words, they regulate bowel activity in children and adults. In order for probiotics for diarrhea to be effective, 3 requirements must be met: the probiotic bacteria have to survive the acidic environment of the stomach; they ought to be able to settle in the intestine and they need to be safe for use. 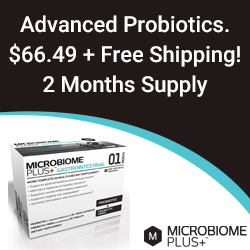 Which probiotic bacterium is recommended? The Lactobacillus GG (LGG) is the most studied and clinically proven bacterium. It belongs to the lactobacilli strain that produces lactic acid. The LGG is resistant to stomach acids. It can easily attach to the intestinal mucosa and epithelial cells. It stimulates the reproduction of friendly bacteria, such as the bifidobacterium and other lactobacilli. In addition, it inhibits the growth of harmful bacteria and helps the body get rid of toxins. It was found that breast milk is much richer in lactic acid, probiotic bacteria and vital antibodies compared to formula. Breastfed babies are therefore more resistant to bowel infections. The effectiveness of probiotics for diarrhea was proven in a series of medical trials. In a meta-analysis conducted in 2002 and included 9 controlled trials in different countries, the probiotic bacterium lactobacillus was found to shorten diarrhea in 2-3 days in babies and toddlers, especially in cases in which the pathogen was the human rotavirus. A study that was conducted in France 3 years later included 1,000 babies at the ages of 4 – 6 months. For 5 months, one group of subjects was fed by a formula containing the bacteria strains of Bifidobacterium and Streptococcus thermophilus, both known for their probiotic properties. Another group of subjects was given regular formula containing no probiotic additives for the same time period. The group of babies fed with a formula rich in probiotics suffered from less severe diarrhea symptoms (mainly dehydration) and required less medical intervention compared to the babies that were not given probiotics. A similar study was carried out roughly at the same time by the University of Johns Hopkins, School of Medicine. It encompassed 118 babies at the ages of 3-24 months from 27 day care centers in Baltimore. The babies were divided into 2 groups. The first group was given formula with high dosage of Bifidobacterium and Streptococcus thermophilus. The second group was fed with formula containing the same probiotic strains but at a much lower dosage. Both groups were monitored for 18 months. Results showed a clear difference between the two groups in susceptibility to infections. The babies in the group that was given probiotics in high dosage were exposed to less diseases and visited the doctors fewer times compared to the group that received probiotics in lesser dosages. The World Health Organization approved the use of probiotics for diarrhea composed of lactic acid bacteria (Lactobacillus) already in 1981. According to the European Union standard from 1995, probiotic ingredients can be added to baby formula right from birth. In 2002, the FDA gave its permission to include probiotics in formula from the age of 4 months onwards. As clinical trials clearly indicate, the use of probiotics for diarrhea is highly effective. Babies (and adults) who take probiotics regularly as part of their diet are less likely to suffer from bowel infections. If infection does occur, its symptoms are less severe and require less medical intervention. Probiotics are part of a nursing infant’s natural diet. The benefits of breastfeeding are known for thousands of years, and probiotics are apparently part of these benefits. That is why, it is important to encourage women to breastfeed.